How would you use a dainty sword against a long, heavy weapon like the Guan Dao? 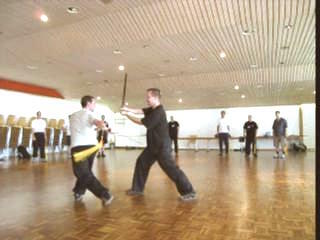 The Chinese sword is a dainty weapon. How would you use this dainty weapon against a long, heavy weapon like a Guan Dao, or a ferocious weapon like a Samurai sword? 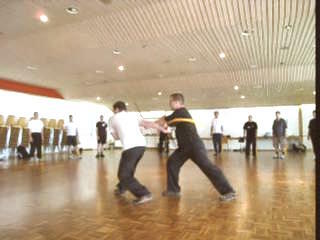 Course participants have a lot of fun working out counters against attacks from these weapons. They also discover some important principles. 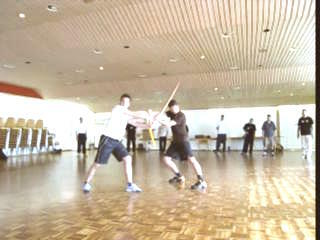 Traveling Dragon Sword against Guan Dao and Sumarai Sword from Wong Kiew Kit on Vimeo.